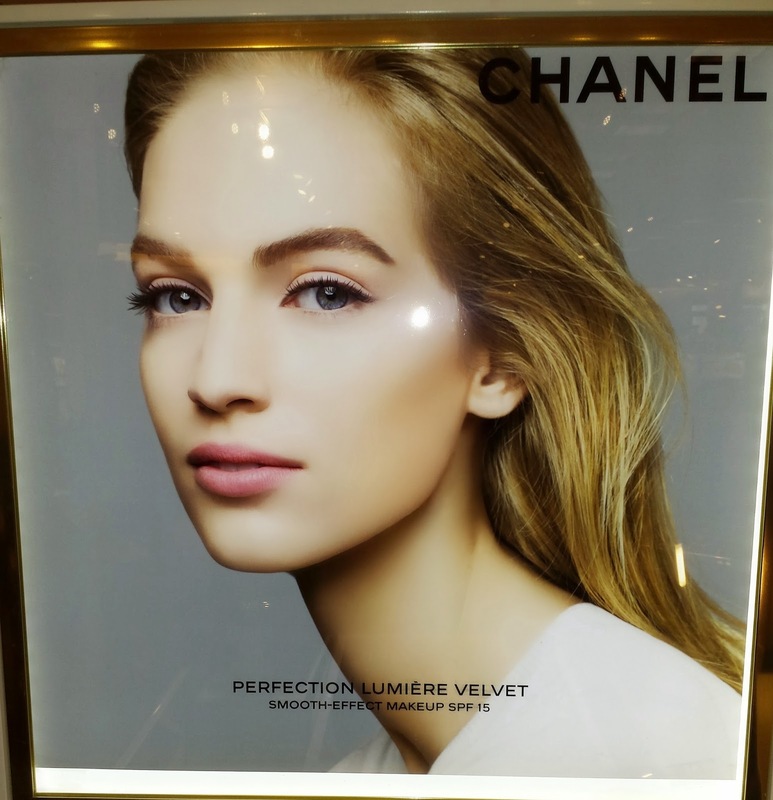 In April Chanel will launch the Perfection Lumiere Velvet smooth-effect makeup along with two Joues Contraste baked blushes: 88 Vivacite and 89 Canaille. Currently the whole collection is available in store at Nordstrom but I have yet to see it online. Both blushes are currently priced at $45.00 USD and they both contain .14 oz of product. 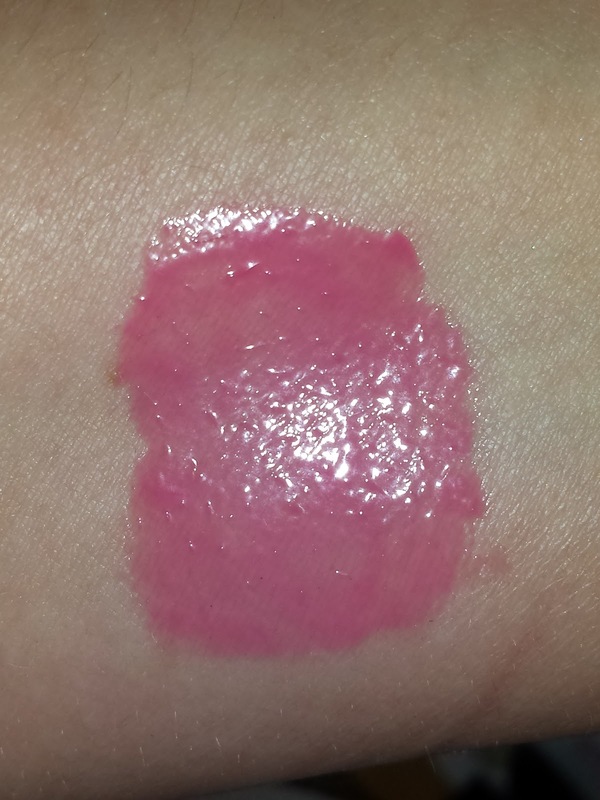 I had the opportunity to swatch both blushes (see pics below) and I must say they are extremely pigmented. Although the color can be blended down if it seems a tad too much. One thing I have noticed with the baked blushes is the rose scent is much stronger with them than the US version. If you can get past the really strong rose scent these are definitely worth the money. 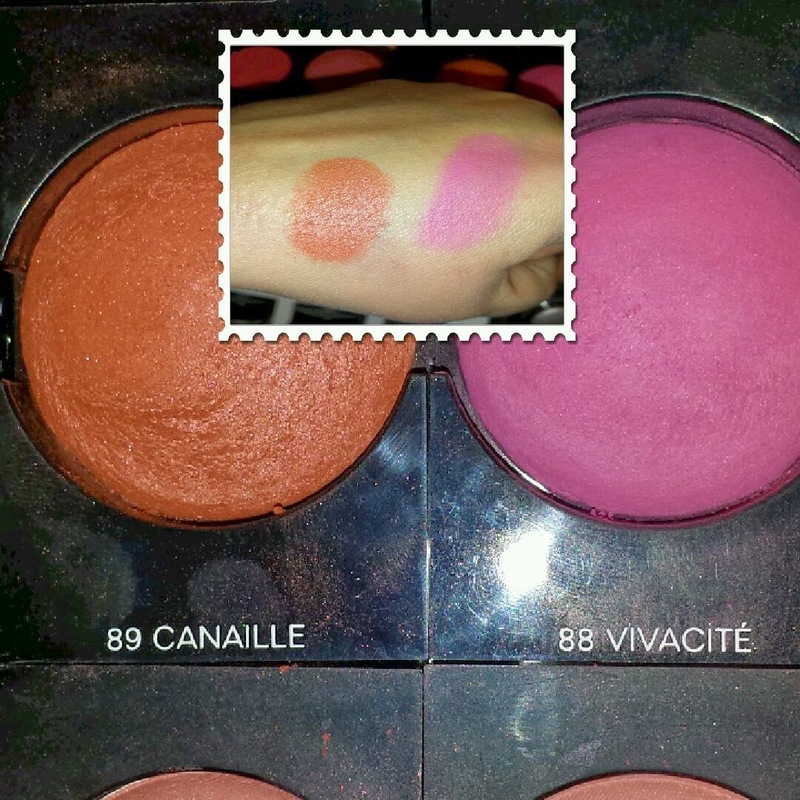 I loved both blushes but I only purchased 88 Vivacite. 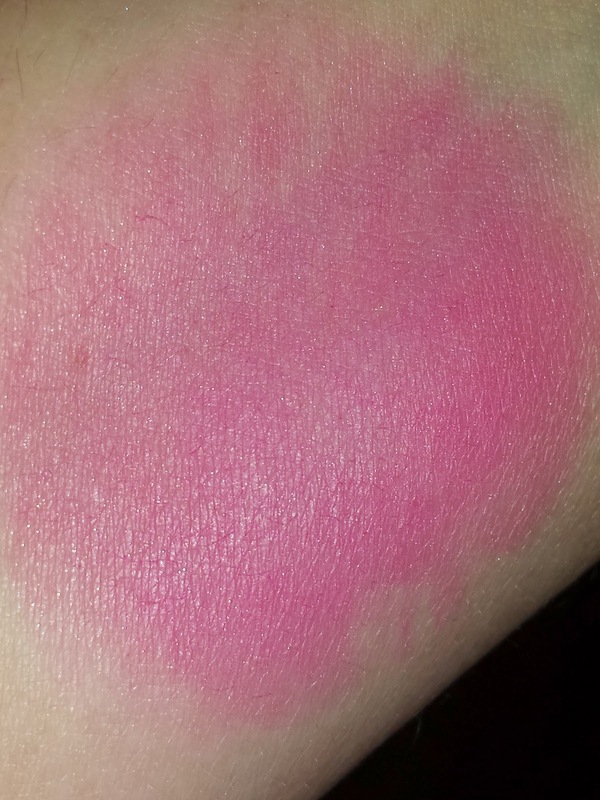 The other blush, Canaille, was just too muddy looking for my really fair skin but it should work beautifully for those with a warmer skintone. 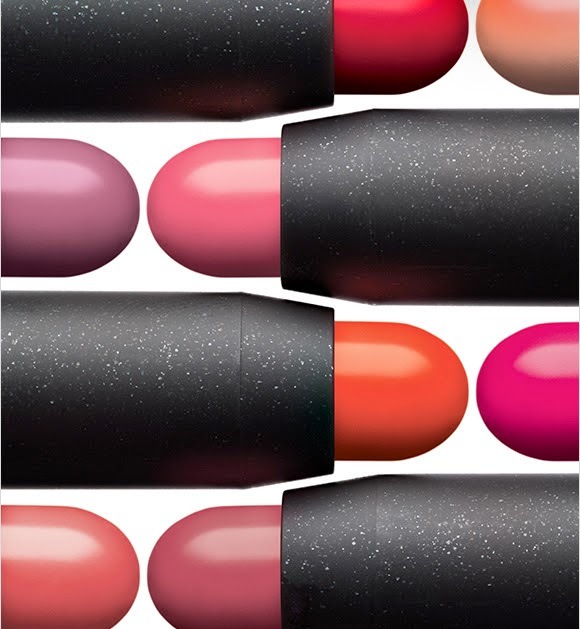 On the MAC website they have recently launched 12 new PatentPolish lip pencils. 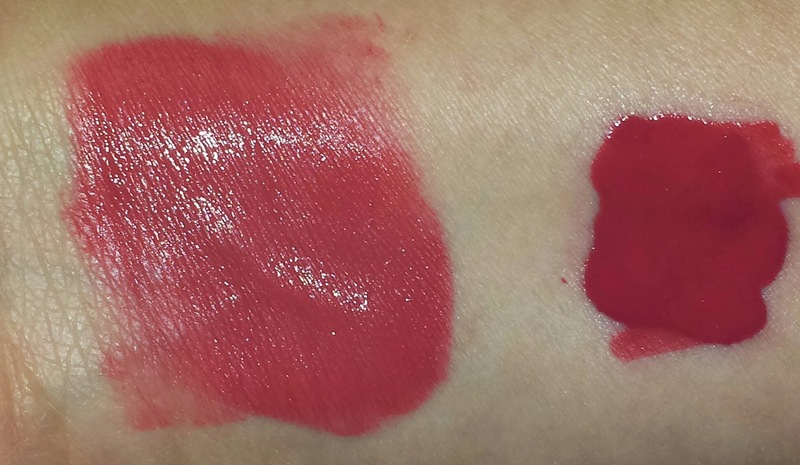 The PatentPolish lip pencils have the shine of a gloss and the color of a lip pencil. The colors range from corals, pinks to nudes and each is housed in a twist up chubby pencil. I purchased Kittenish and Fearless. Click on the links below to read more about the whole collection and to see my review of Kittenish. Fearless is described as a deep blue pink and it provides semi-opaque coverage. It is rather sheer like a lip balm, it applies unevenly and tends to settle into the lips. Reapplication is necessary as it does not wear very well (at least on me) and seemed to enhance any lip imperfections. Fearless lasted maybe two or three hours wear time at best and then it just looked faded and feathered. It also has a really strong Vanilla scent, one that is similar to the MAC lipsticks, but nothing quite as strong as this. Overall I was just really disappointed with the performance of Fearless. There are better lip products out there and at $20 each I am not going to waste my money on a poor performer such as this. The PatentPolish lip pencils currently retail for $20.00 USD and they contain .08 oz. of product. 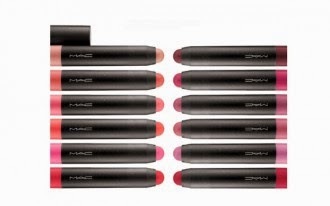 On their website, MAC recently launched 12 new PatentPolish lip pencils. 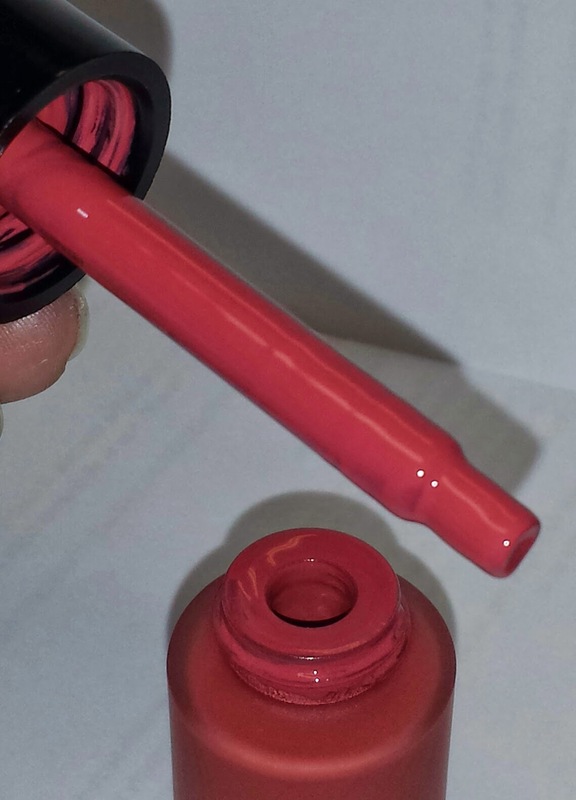 The PatentPolish lip pencils have the shine of a gloss and the color of a lip pencil. The colors range from corals, pinks to nudes and each is housed in a twist up chubby pencil. I purchased Kittenish which is a mauve-y pink. It has the consistency of a creamy lightweight lipstick and I didn't notice any dryness to my lips when wearing the lip product. Wear time for the Kittenish lip pencil lasted for about four hours and with only one application it seemed to cover the lips like a full coverage lipstick. 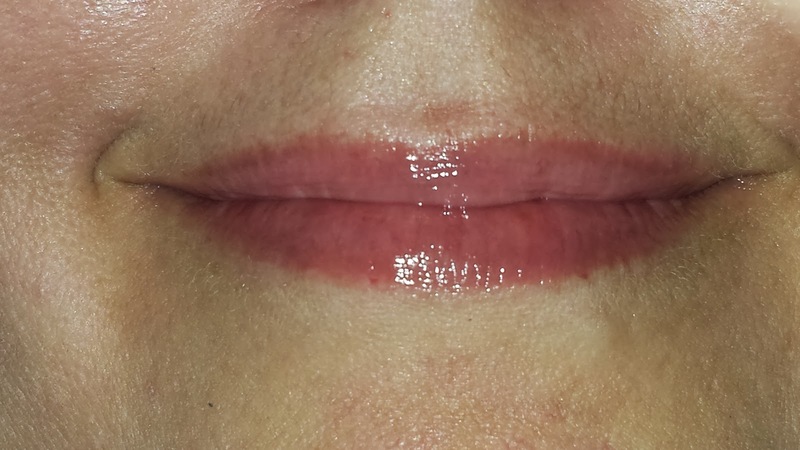 It also had great pigmentation with no settling into the lip lines. Kittenish currently retails for $20.00 USD and contains .08 oz. of product. 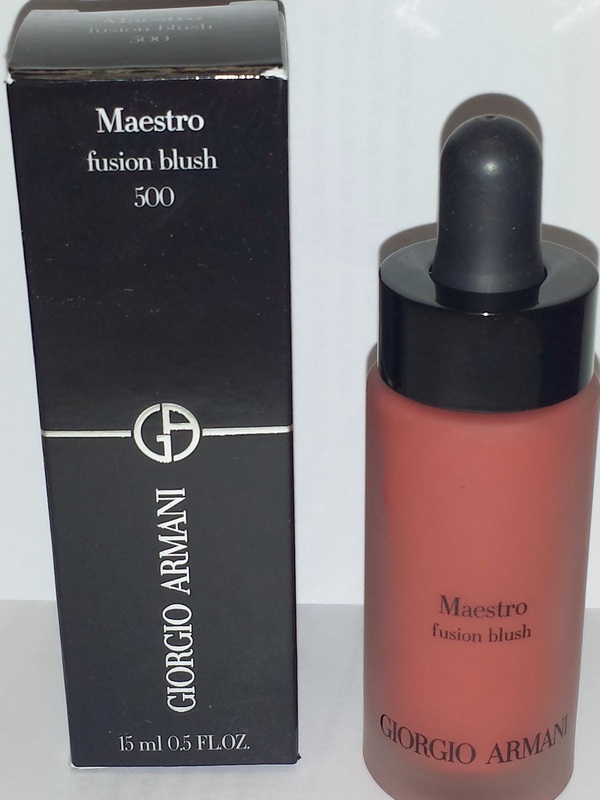 In April Giorgio Armani will be releasing their newest creation the Maestro Fusion Blush (It is currently available online at Nordstrom). 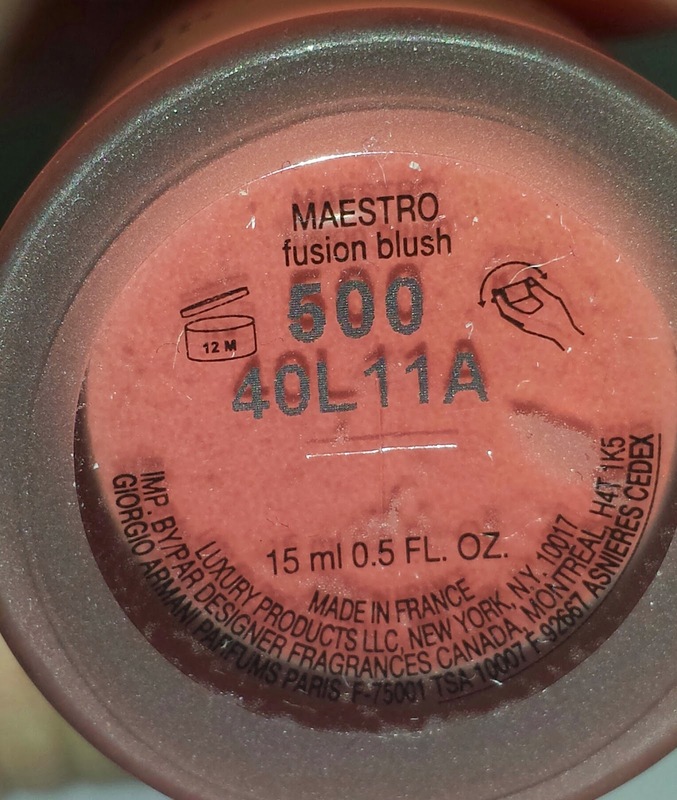 The intensity of the Italian sun was used as inspiration in the creation of the Maestro Fusion blushes (there are a total of three). Their purpose is to give the face and body the appearance of a natural sun-kissed look. The liquid blushes have a lightweight formula that luminates and highlights the cheeks. They can be used as a blush, bronzer or one can mix, blend or layer for a custom-made result. "The secret of this iconic Maestro formula is no water or white powder. Instead, it contains five non-comedogenic oils, including white lotus oil, which gradually evaporate upon application and leave you with a “no makeup feel.” The ultra-fine oil-pigments suspension enhances the skin and is enriched with finely milled micro-pearls for liquid summer bronzer and essential concentrated pigments for fusion blush. 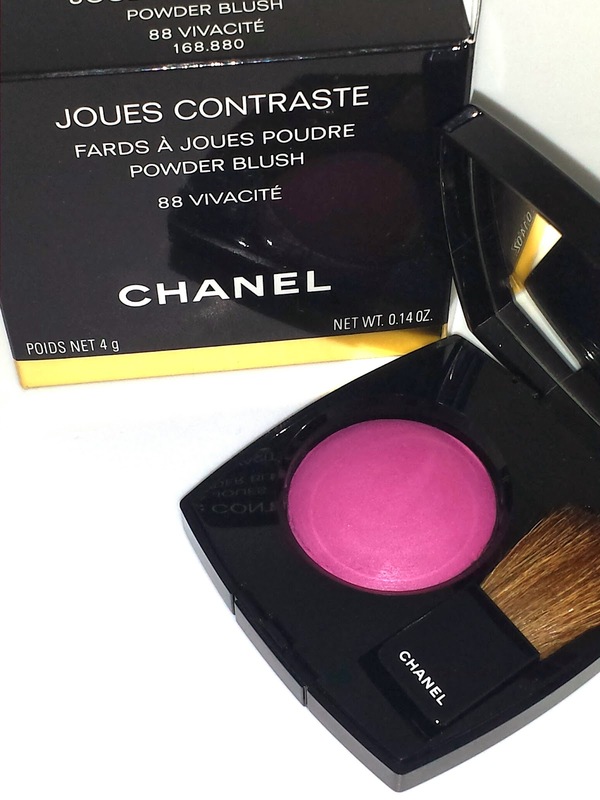 For optimal results, use a single drop of the highly pigmented blush formula." 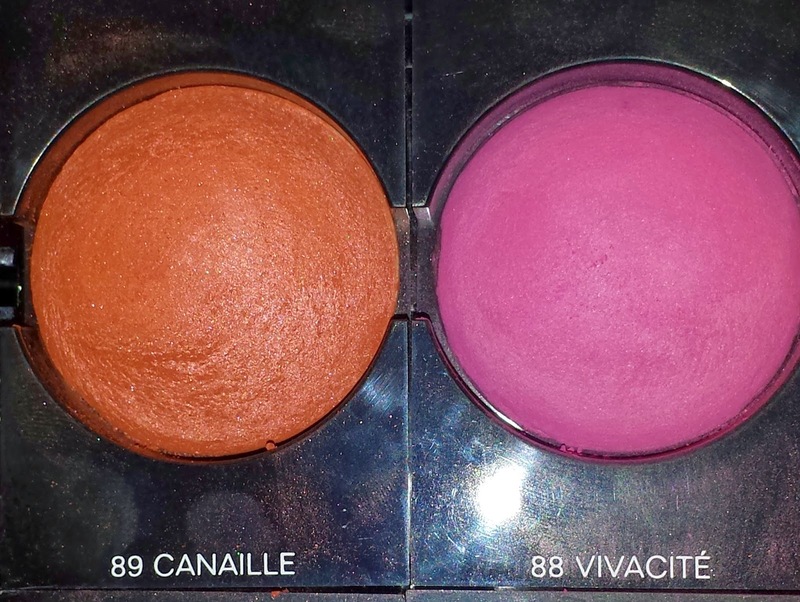 The Fusion liquid blushes come in three colors: 300 is coral, 400 is berry and 500 is a warm mauve. I purchased both the 400 and 500 blushes. A lot of the basic information that I posted on this review today is similar to what I have already posted about the liquid blush in 400. The link for my review on 400 will be listed below. 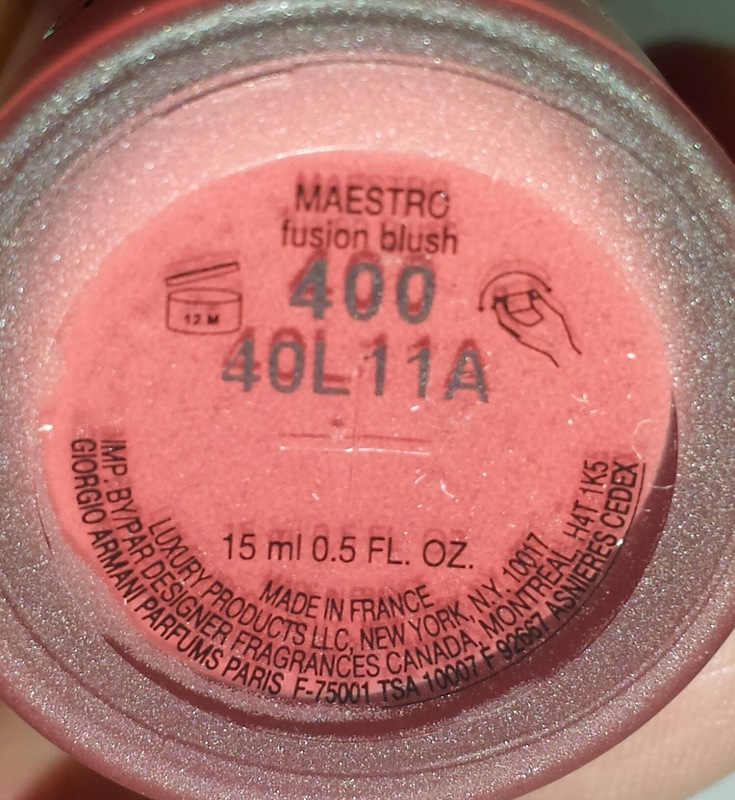 Anyway, fusion liquid blush in 500 is more like a warm mauve with a strong brown undertone. It is super pigmented and lasts all day - so no worries about wear time and fading and because these are super pigmented not much product is needed. Take care when using them - they are very messy! 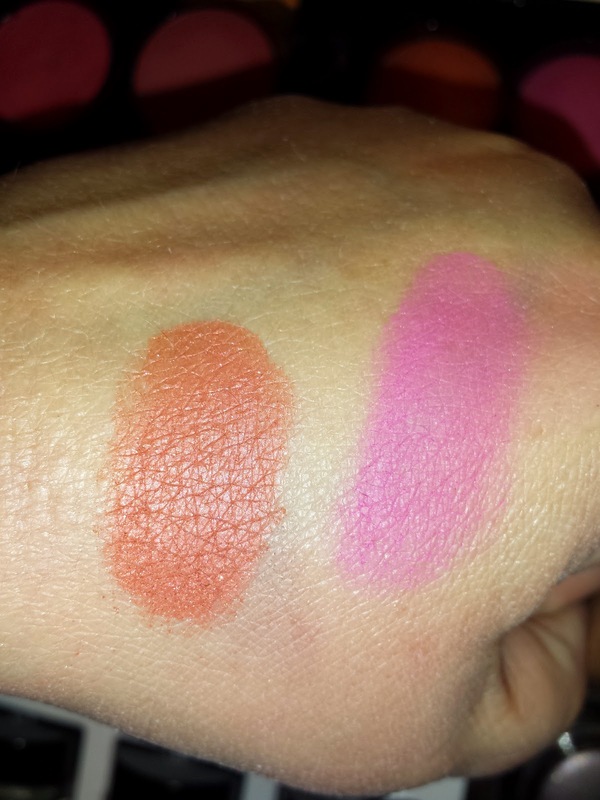 The Fusion blushes come in three colors: 300 is coral, 400 is berry and 500 is a warm mauve. I purchased both the 400 and 500 blushes. 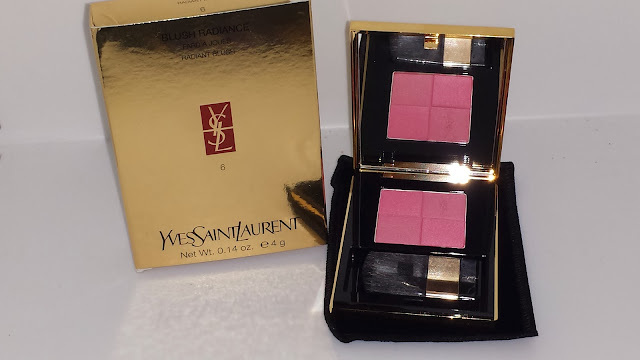 When I first opened the 400 blush I was taken aback by how dark it looked. 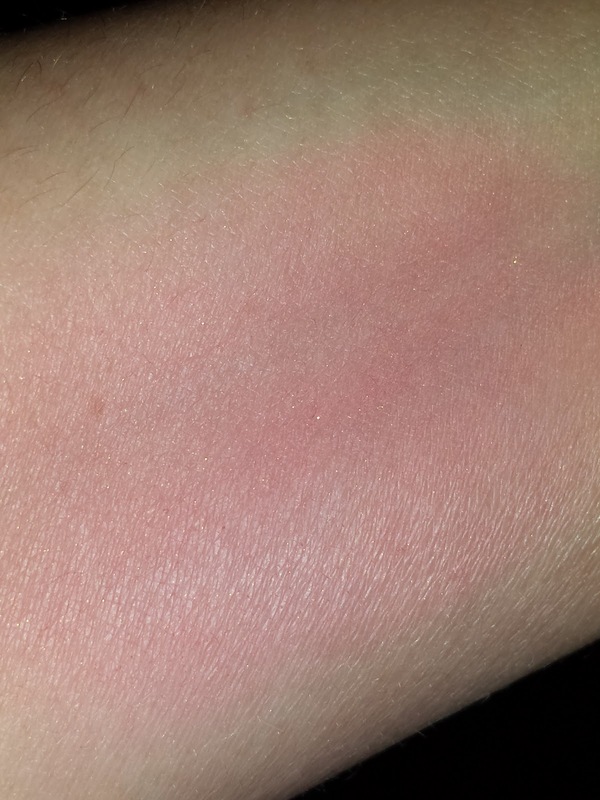 It was supposed to be a neutral berry color but it swatched with a strong red undertone. Its still a very pretty color but it just seemed darker than what I had expected. 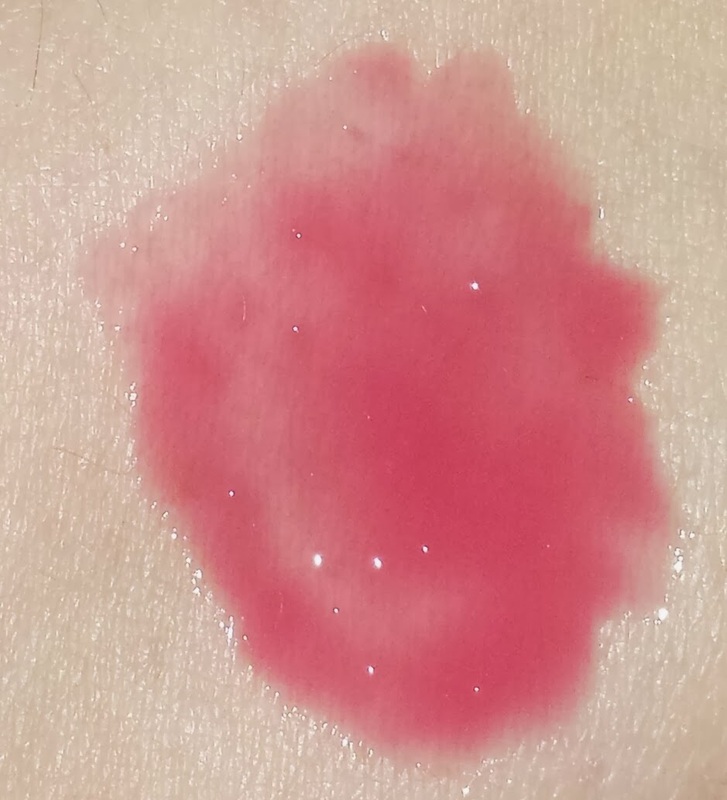 The Fusion blushes are quite messy (see the picture below of the dropper). So unless you are proficient with using droppers, which I definitely am not, then expect to make a mess. It says to use one drop for the face but even then I found that to be a bit much. One could get away with using maybe half of a drop. Anyway, if the whole dropper thing seems overwhelming just dab the dropper against your hand and then use a makeup brush to apply it to the face. Or one can just swipe a brush along side the dropper to get a dab of product for the face. However you decide to use it this product is definitely gonna take some practice even for the seasoned makeup artist. If I had to pick just one out of the three to purchase I'd have to say 400 is my favorite. The color seems much more compatible with my cooler / paler skintone. 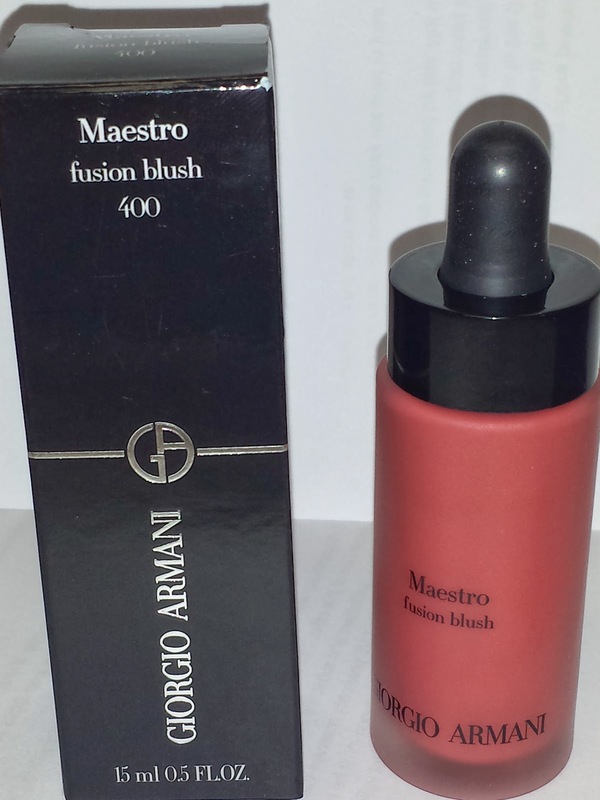 The Giorgio Armani 'Maestro' Fusion Blush currently retails for $52.00 USD and it contains .5 fl oz. of product. On the Nordstrom website they have the liquid blushes listed at .6 fl oz. but per the box and the container it is only .5 fl oz. It is important to note the Giorgio Armani Fluid Sheers contain 1 fl oz. and cost $64. So these new Fusion blushes are half the size and $12 less which is still a bit pricey. 1. Store them upright or they will leak out! 2. Take care when handling as these will stain the skin and clothing. 3. 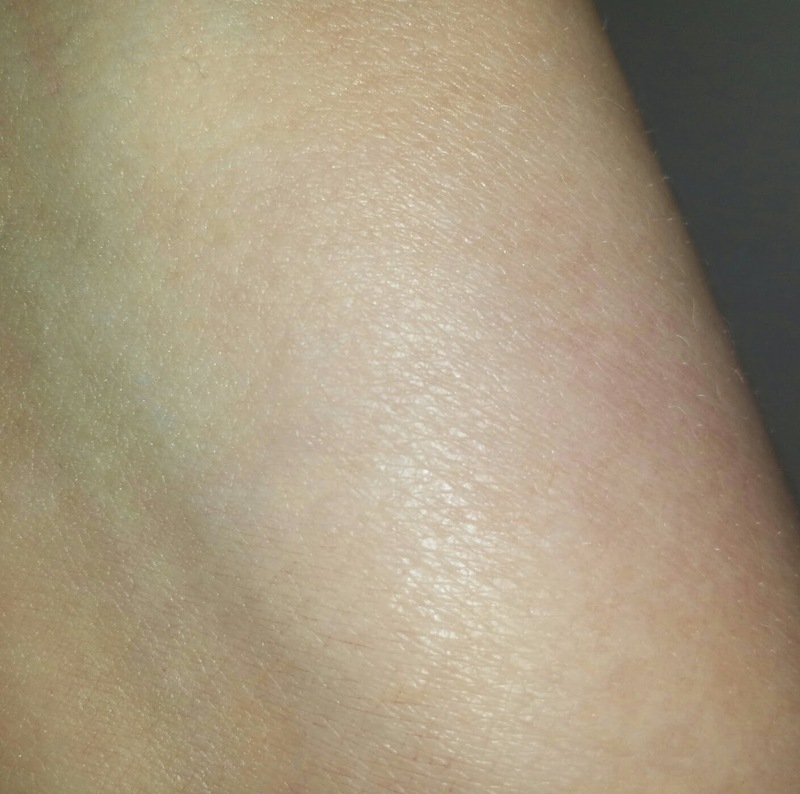 Extremely pigmented so not much product is needed. 4. Most important - shake before using as the product has a tendency to settle / separate. 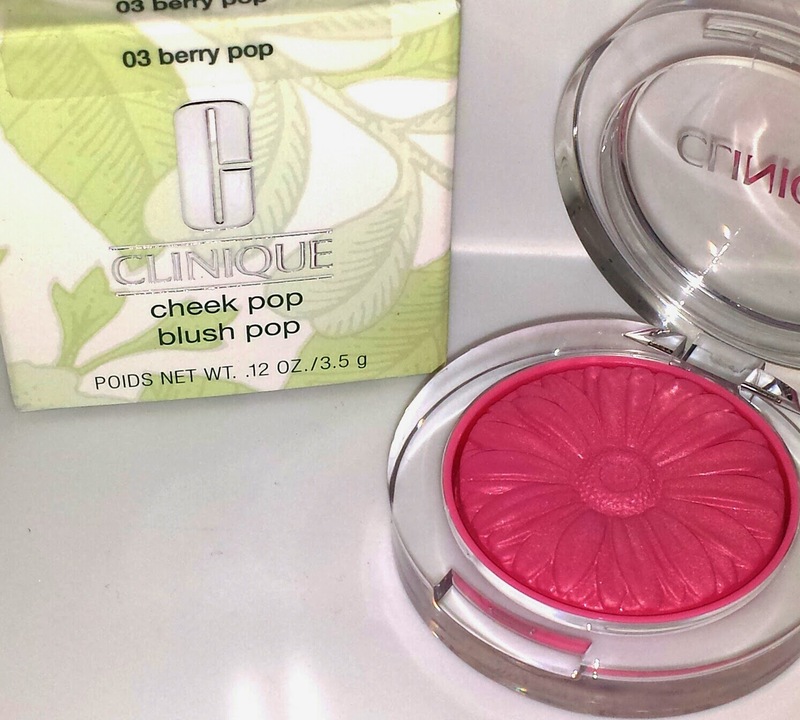 Clinique released four new blushes with their spring 2014 collection: Berry, Plum, Ginger and Peach. All four are embossed with a cute daisy design that is so perfect for Spring. I had previously purchased 04 Plum Pop blush and loved it so much I decided to try 03 Berry Pop. 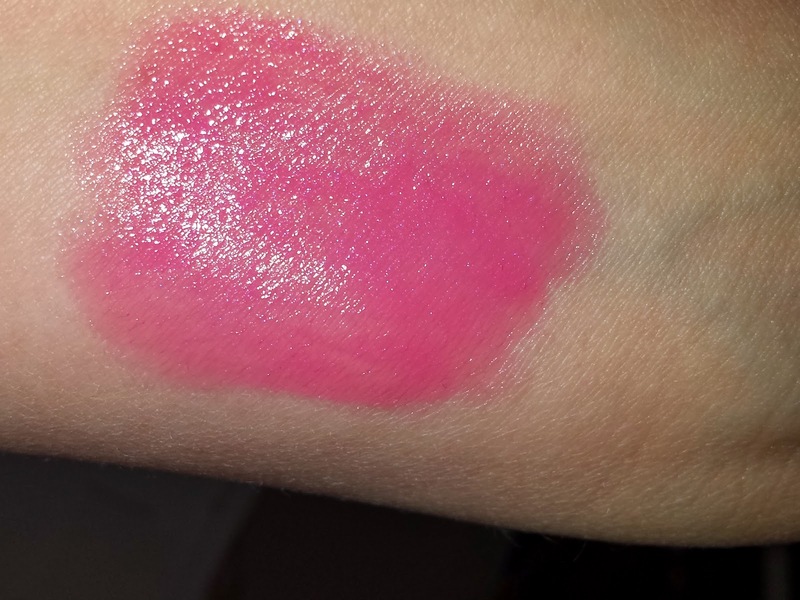 Berry Pop is described as a berry pink blush but just from swatching mine I think it is more of a light fuschia pink. These highly pigmented blushes apply semi-sheer with buildable color and typically last about 8 to 10 hours wear time. 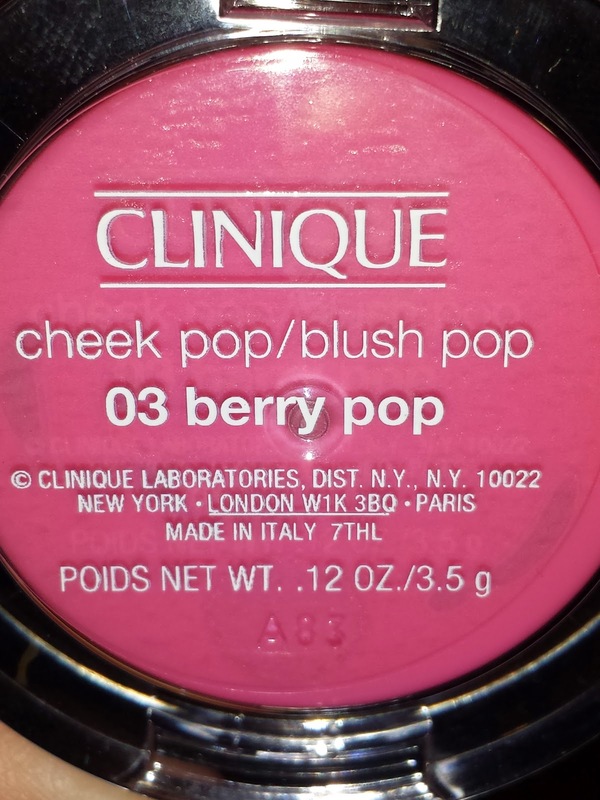 The Clinique cheek pops retail for $21.00 USD and contain .12 oz of product. YSL blush radiance in 6 is a two tone radiant blush. 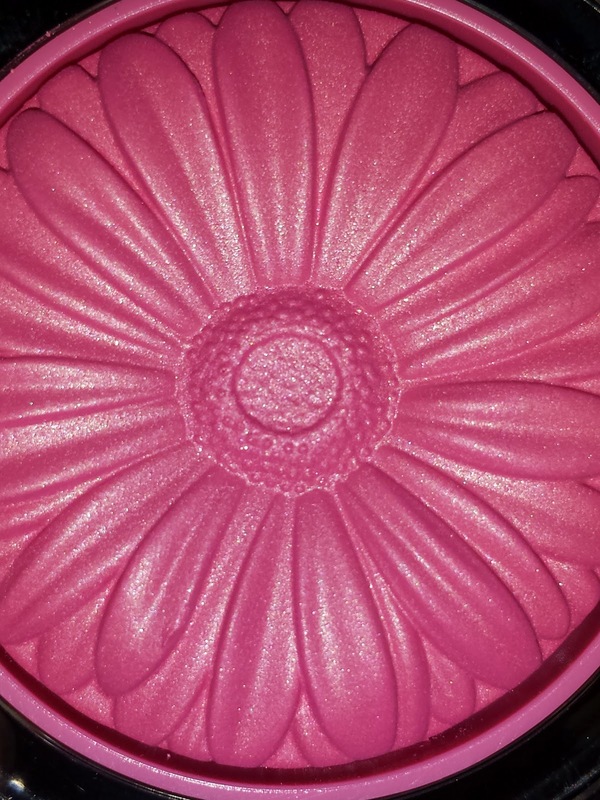 The blush has a satiny finish with a matte texture that is densely compacted in a little mirrored compact. 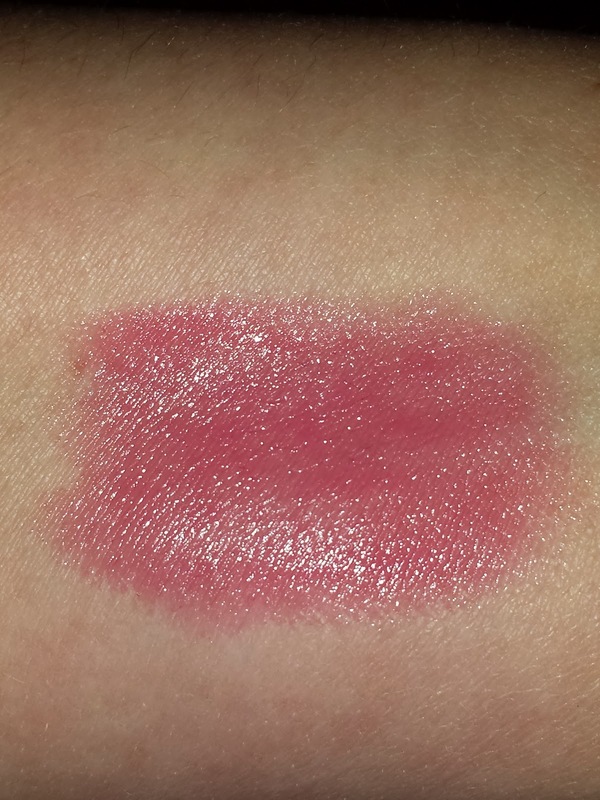 A bright pink sheen with a matte dusty rose make up the two color combos for this blush. 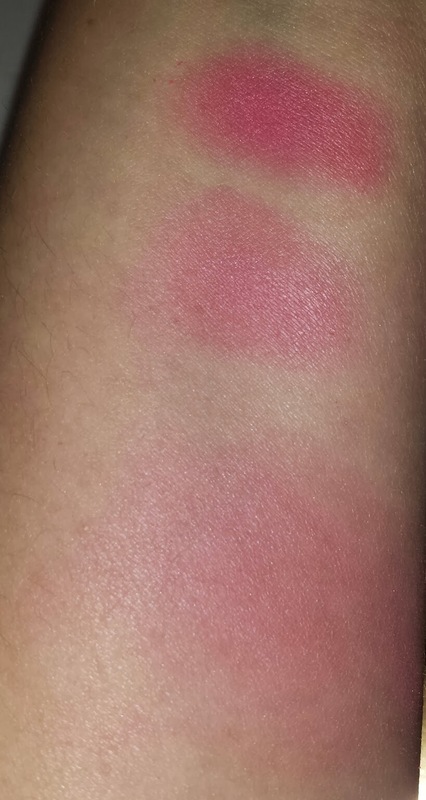 When first swatched the semi-sheer blush seemed to lack any vibrant color to match what it looks like in the pan. 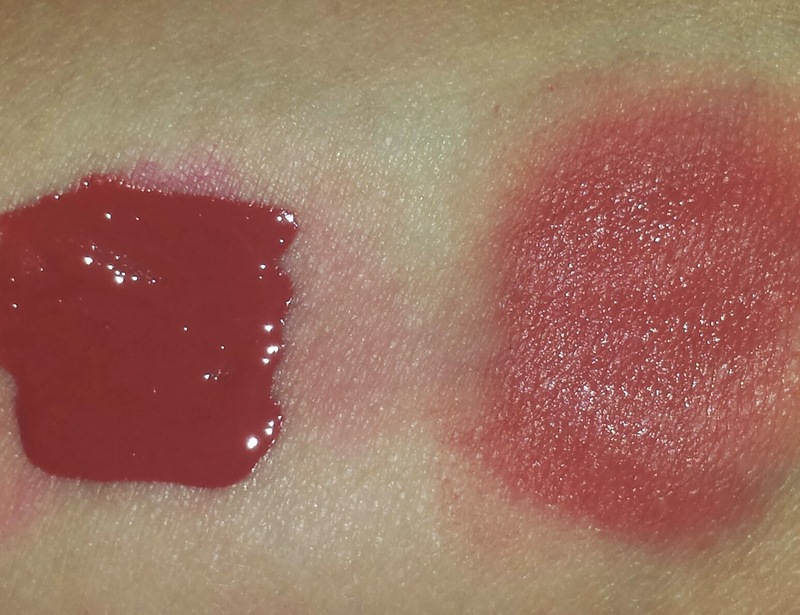 I then used a denser brush to get through the top layer of product for a more vibrant swatch. The more I worked at it the bolder the colors seemed to appear. Seriously! I shouldn't have to work this hard for a blush as vibrant as this??? Anyway, the more I used the blush the more I was able to pick up a good bit of color. Although I had a hard time getting the blush to show up on me the first few times of use it eventually became more pigmented. 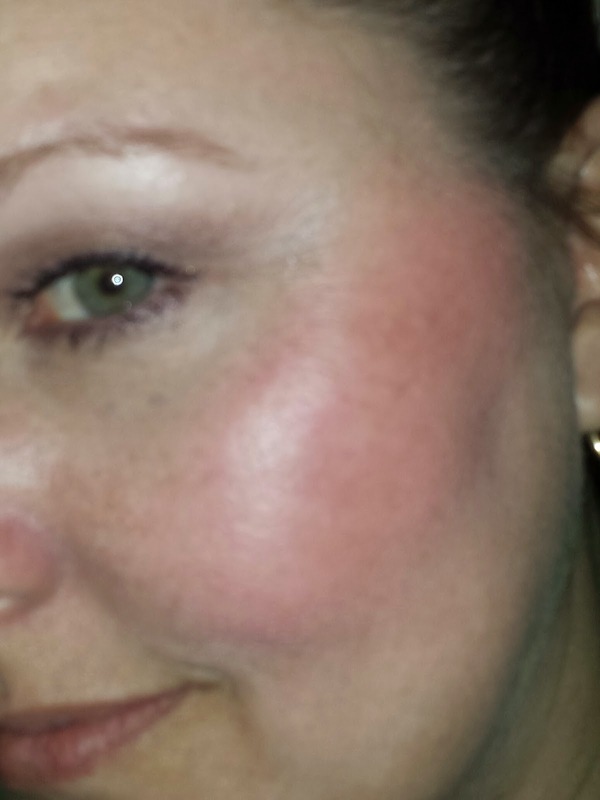 Wear time for radiant blush 6 was about 8 hours when it started to really fade. The YSL blush radiance is available in five color combos and can be purchased at most major department stores and Sephora. It currently retails for $45.00 USD and it contains .14 oz of product. 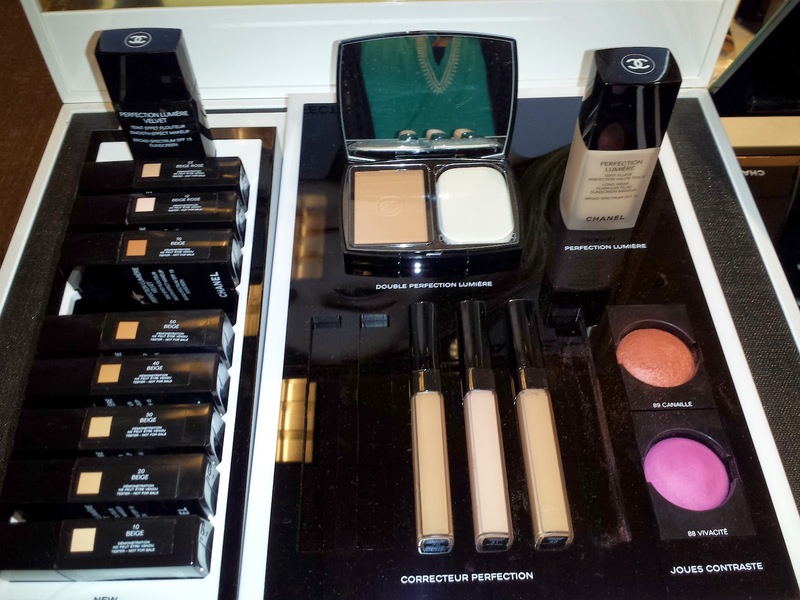 For my birthday I wanted to splurge on some Giorgio Armani cosmetics. It also helped that they were offering an extra 15% off any online purchase (see my post here). 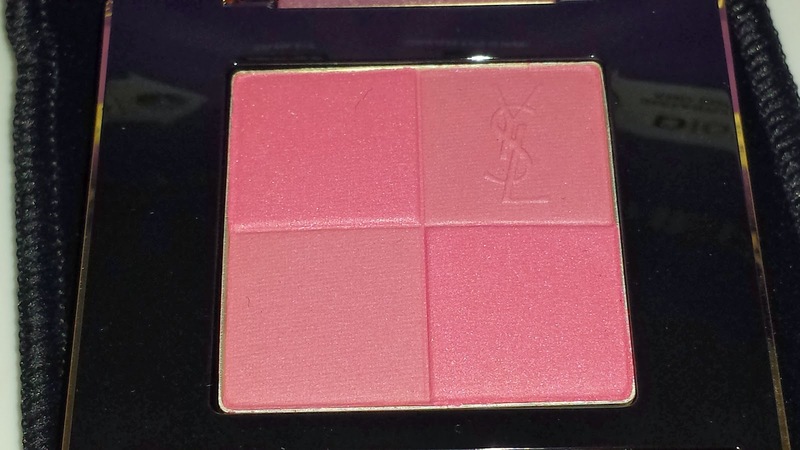 So I picked out one of the new Giorgio Armani cheek fabric blushes in 506. 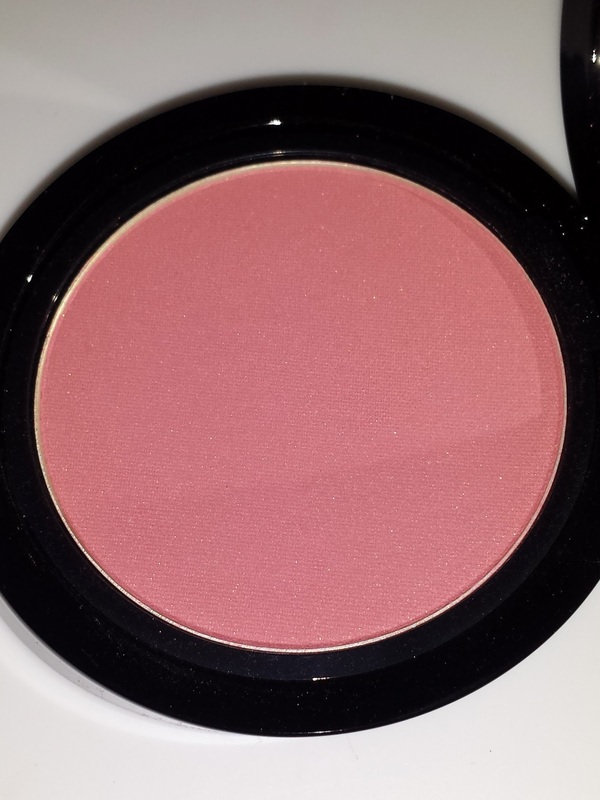 The cheek fabric blushes are supposed to apply rather sheer and soft with buildable color. Also the color range has been extended to include a few vibrant shades that will appeal to a larger audience. 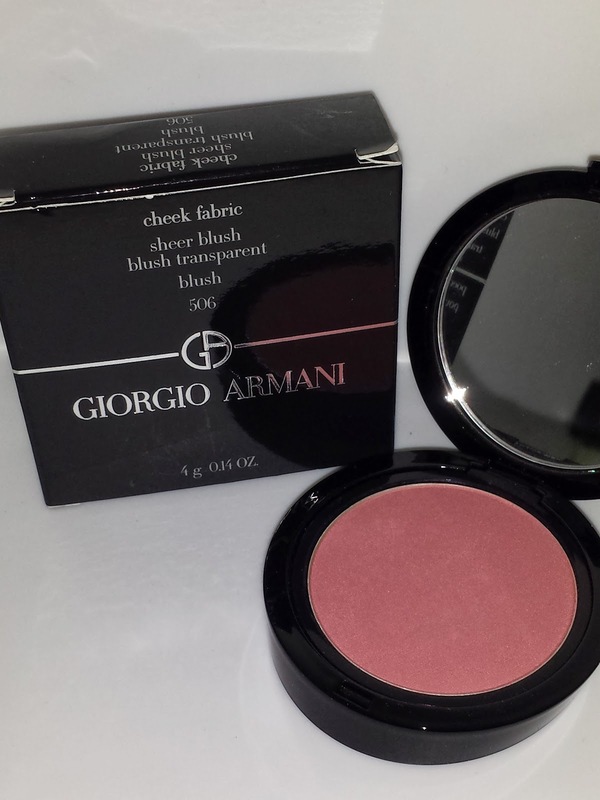 The Giorgio Armani Cheek fabric blushes are currently priced at $46.00 USD for .14oz of product and there are a total of eight to choose from. 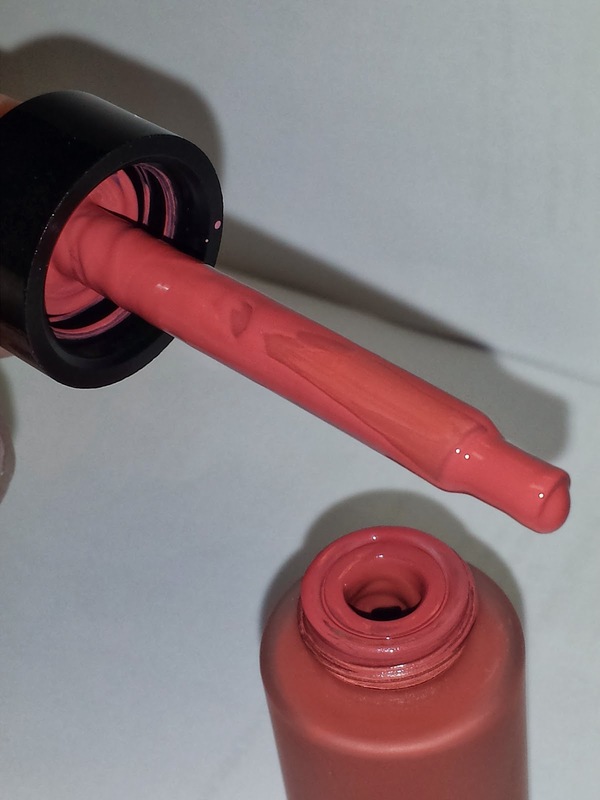 506 is a neutral rosy pink blush with buildable color. 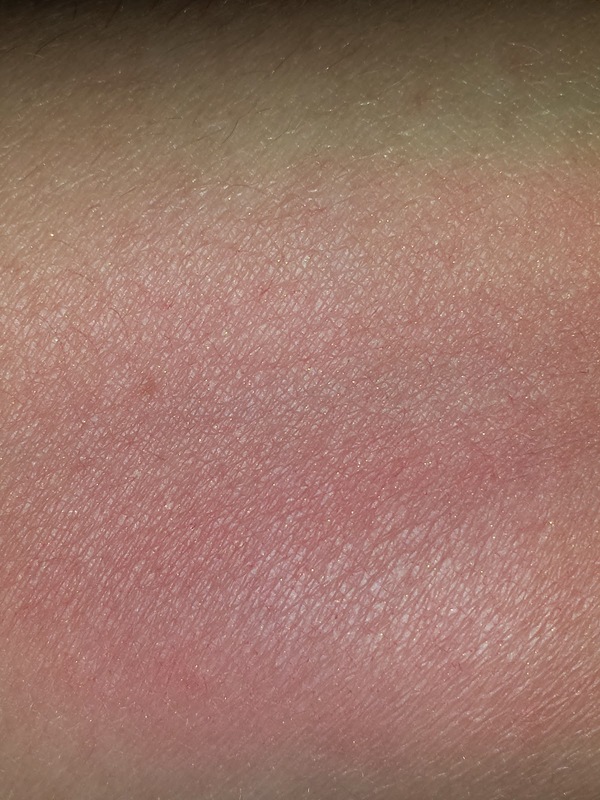 It does apply rather sheer and the blush felt densely packed (not hard but not overly powdery) when swatched. 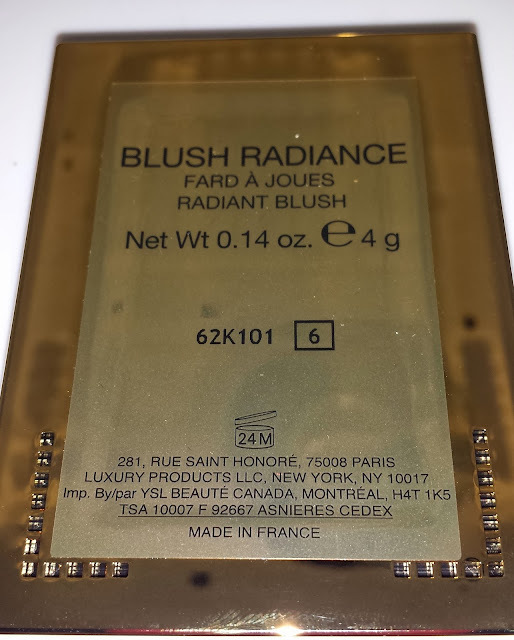 The blush doesn't contain any sparkle or micro glitter but at times it tends to lend a slight sheen to the cheek (almost like a glow from within) when the light catches your face at certain angles. The wear time was a solid 10 hours with little to no fading. 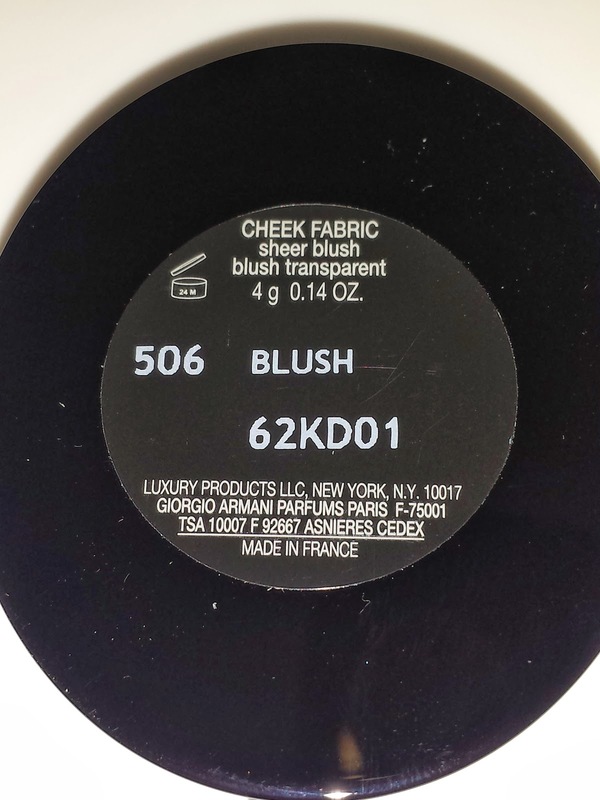 I was really impressed with the quality of the 506 Cheek Fabric blush - it truly exceeded my expectations. I will definitely be purchasing more in the near future. 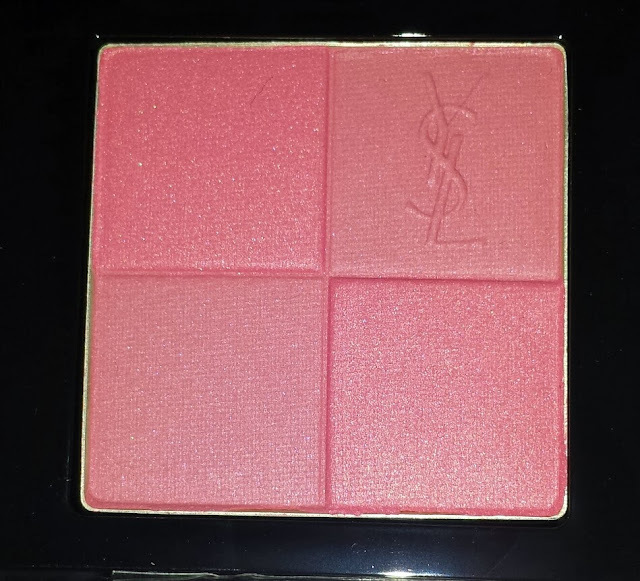 Overall the Giorgio Armani cheek fabric blushes are a high quality blush that are a great investment piece to have in your makeup collection. 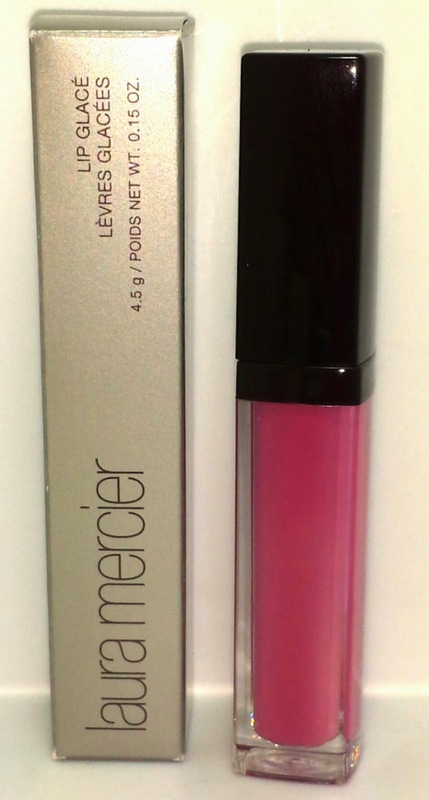 Laura Mercier recently launched thirteen new shades of her most popular lip gloss: Lip Glacé. The non-sticky formula glides on smooth for an even application all over the lips. It is a highly pigmented gloss that creates the appearance of fuller sexier lips with long lasting color and extreme shine. Lip Glacé is available in a variety of finishes: shine, sheen and shimmer and the coverage ranges from sheer, to medium to full coverage. They retail for $25.00 USD, contain .15 oz of product and can be found at most department stores and at Sephora. 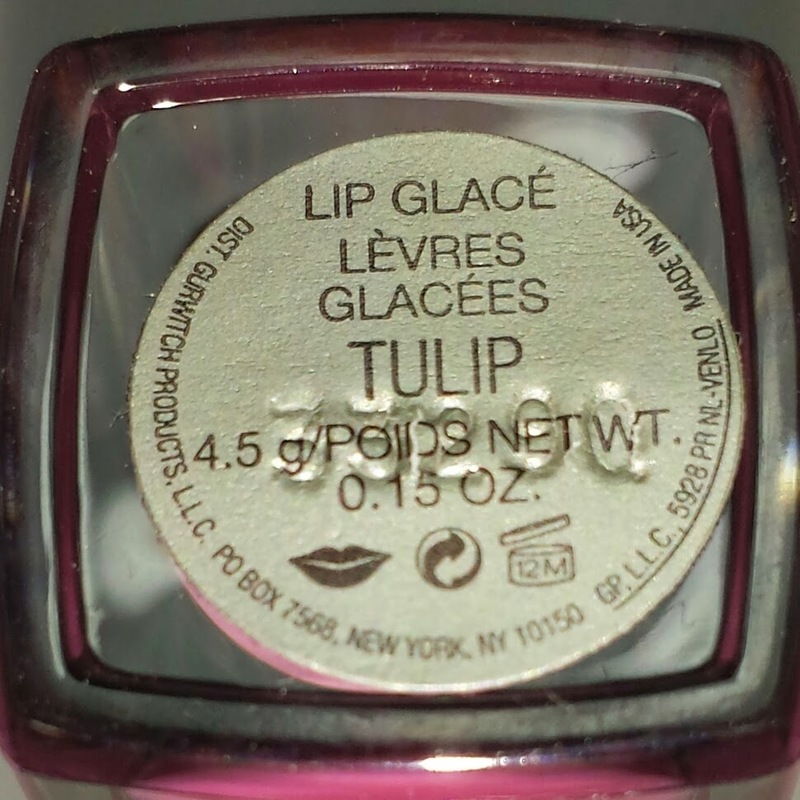 I purchased TULIP which is a creamy blue based pink gloss. It didn't feel sticky just slightly heavy on the lips. It took only one application for complete coverage and it seemed to last about 4-5 hours wear time. Then it was just a few sparse areas on my lips that needed a smidge of a touch-up. Now even though I didn't notice any plumpness to my lips I was really impressed with the way the Lip Glaze wore. It didn't settle into my lips and it kept my lips really moisturized and the majority of its wear time the gloss stayed...well...glossy! 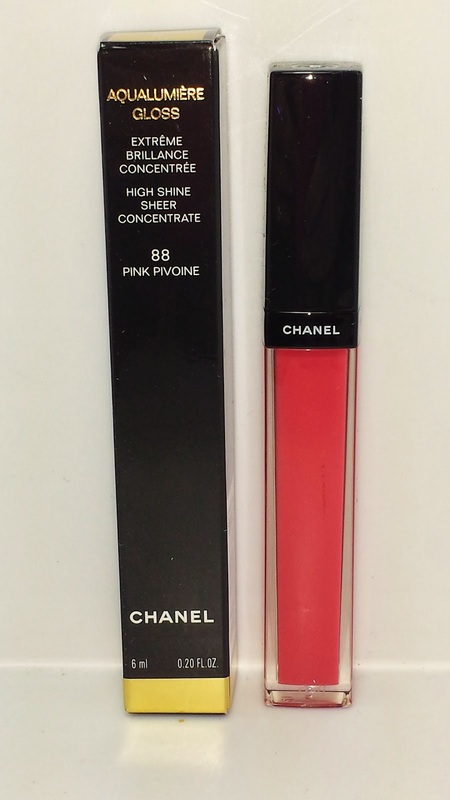 Another item from the JARDIN DE CAMELIAS spring collection (US - online only / ASIA exclusive) is the Chanel Aqualumiere gloss in 88 PINK PIVOINE. This lightweight gloss gives a sheer wash of color to the lips with a glossy shine. It is very sheer and only wears for about 3 hours before it really starts to fade and wear off. It didn't settle into my lips and it was very moisturizing but there are better lip glosses available if you are on a budget. This gloss is one of those that is "nice to have" but definitely not a "must have". 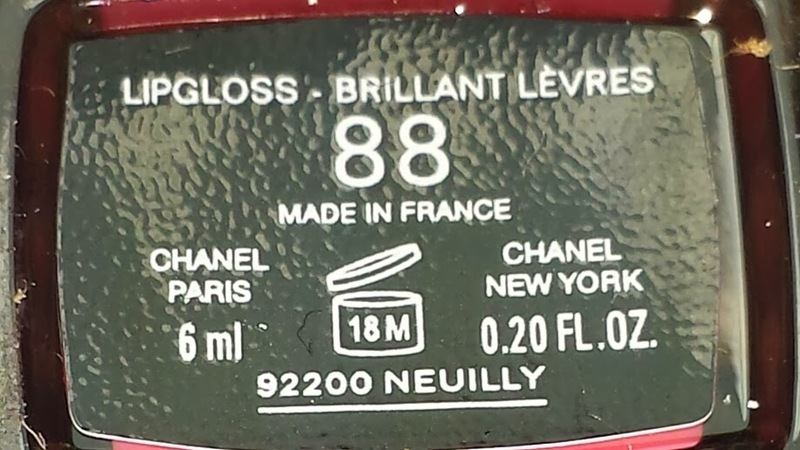 So if you were looking to splurge on a Chanel gloss I would skip this one. 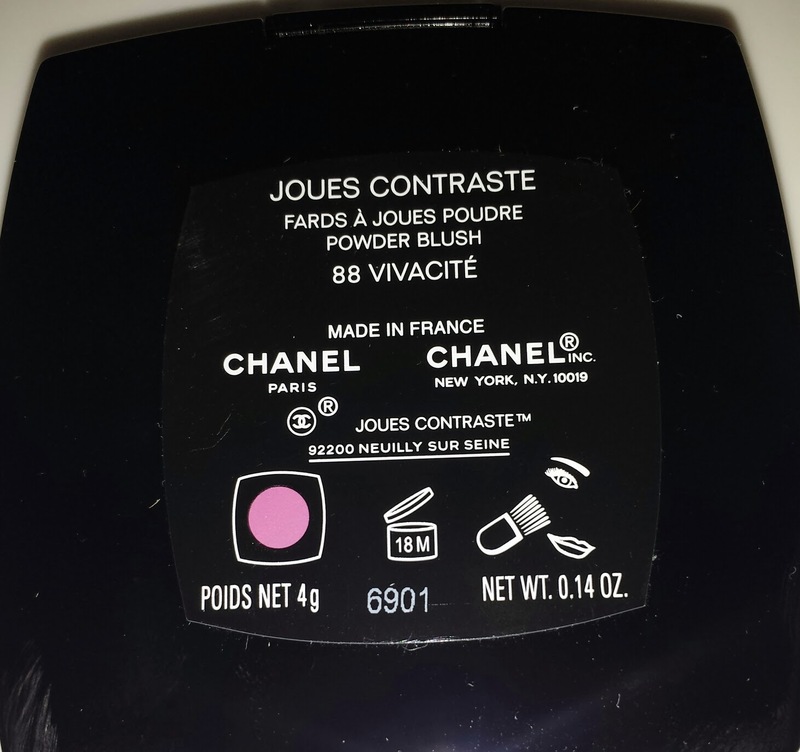 88 Pink Pivoine currently retails for $29.50 USD and contains .20 fl oz. of product. The colour and shine of a gloss, the precision of a pencil – all in one colour stick. M.A.C. Patentpolish Lip Pencil is your new magic wand for lips, with a single swipe instantly achieving luscious shine. A unique blend of creamy emollients replenishes, keeping lips soft with an ultra-smooth texture that isn’t heavy or sticky. 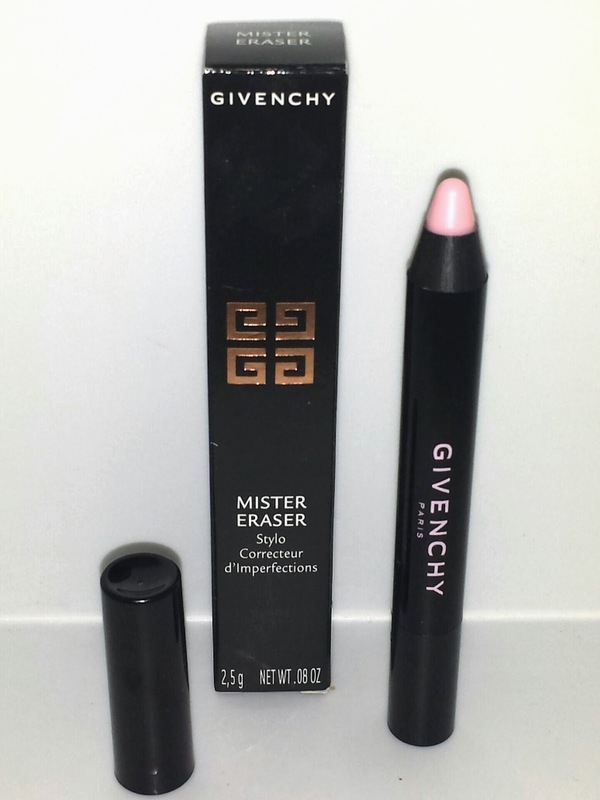 The pencil’s effortlessly twist-up application keeps things clean and mess-free, without the need to sharpen. Enjoy color in a dazzling range of 12 new shades – from bright corals to soft, rosy pinks and naturally glossy nudes – that stay bright and true on all skin tones. Price: $20.00 USD for .08 oz.